Microsoft has released a new build update to users testing out it’s windows 10 OS. 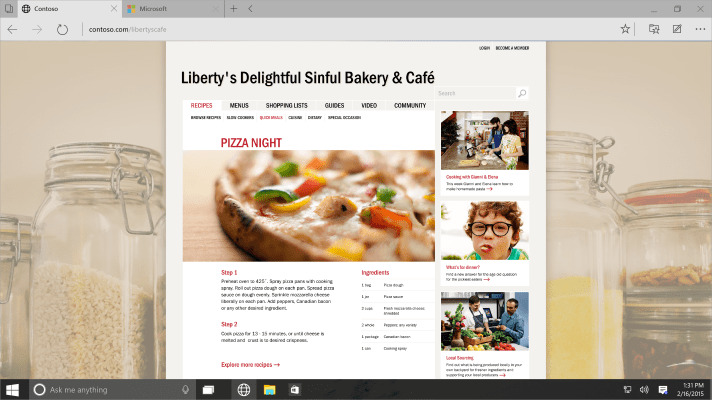 The latest build, 10049 of the Windows 10 Technical preview for desktop also for the first time has the much talked about new browser “Project Spartan” integrated. The new windows 10 technical preview build is all about “Spartan” but in the build are some small improvements and fixes from the previous build 10041. This update is available if you have set your update to fast ring, ISO’s won’t be available till the slow ring updates are available. The issue from Build 10041 for when the Photos app on your PC crashes when you tap on the circular icon at the top left to view the photo you just took. Where you might end up in a state where windows open on your desktop are accidentally visible behind the Start Screen, Task View, Snap Assist, and when rearranging windows in Tablet Mode. If you have Virtual Machines hosted in Hyper-V on your PC running Windows 10, you will want to move to the Slow ring and wait for the next build as this build breaks the ability to run VMs. Can’t wait to see Spartan in action?, get the update and tell us what you think about the new browser.